1) Kinect sets the Guinness World Record for the fastest selling consumer electronics device in history, selling 8 million units in its first 60 days and over 10 million units to date, beating out Apple’s iPhone and iPad (read the source material directly from Guinness World Records here and The Hollywood Reporter here). 2) Xbox 360 has its biggest non-holiday month ever in February 2011, up 27% from last year, ahead of both Nintendo Wii and Sony PS3 (read the source material from cnet News here and from Joystiq here). As a business case study for New Product Development and Product Management, this is a great example of the results achievable when two things happen. First, the overall Corporate Strategy, in this case, to broaden the appeal of interactive entertainment, drove the Product Strategy. Second, aligning all of the internal resources to execute on the Product Strategy to create a holistic and compelling consumer experience (in this case, the hardware, the games, the user interface, and the services all align to bring together the “magic” that is Kinect). A great piece that captures this is available from Wired Magazine’s article – Kinect for Xbox 360: The inside story of Microsoft’s secret ‘Project Natal’. 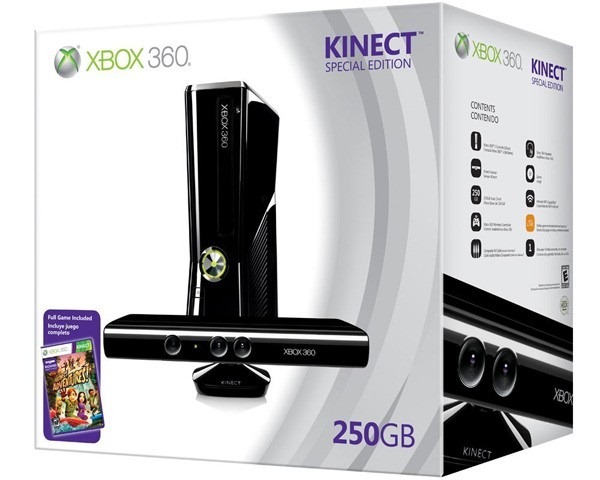 Congratulations to the full team on the success of both Kinect and the new Xbox 360! It’s been an honor to work with a great team of outstanding individuals to develop these products that are being enthusiastically embraced by millions of happy consumers around the world. This entry was posted on March 14, 2011, 11:16 am and is filed under Business, Entertainment, Marketing, Products, Video Games. You can follow any responses to this entry through RSS 2.0. You can leave a response, or trackback from your own site.